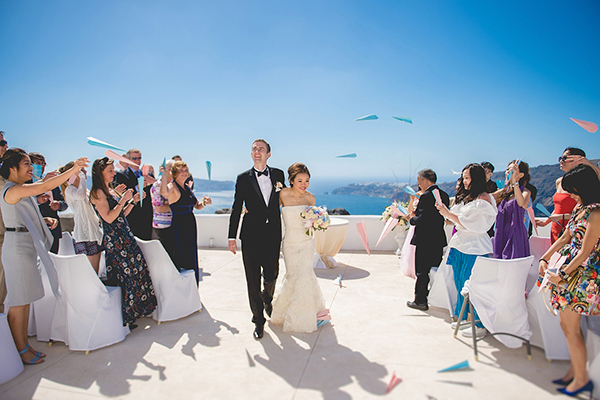 It is always a pleasure when Anna Roussos shares one of her beautiful weddings with us, so you can imagine our excitement when I caught a glimpse this dream wedding in Mykonos! 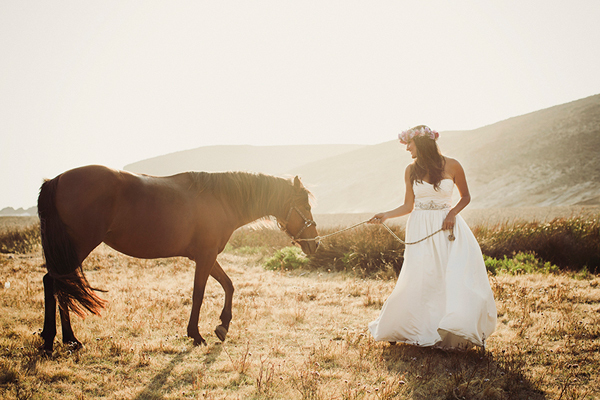 Absolutely gorgeous and so utterly romantic! 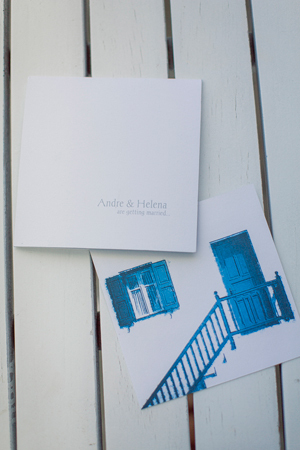 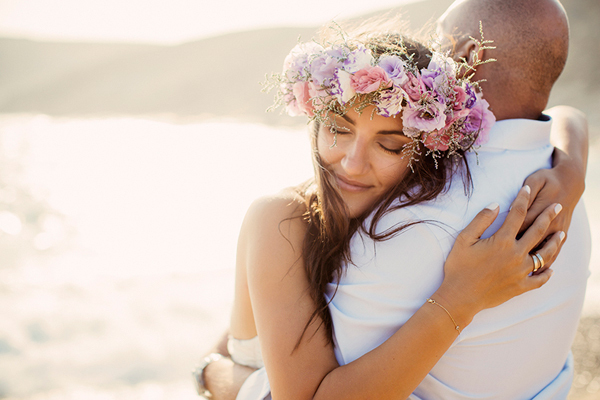 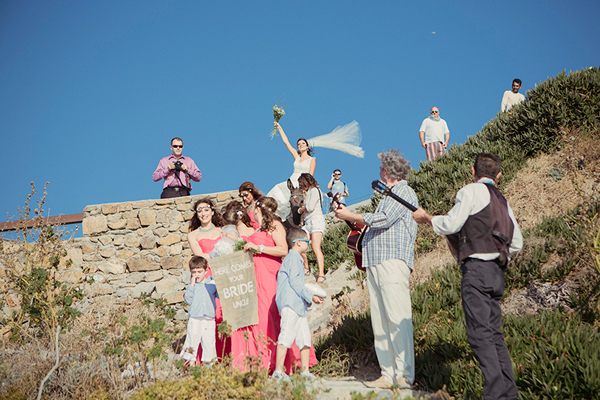 Helena and Andre wanted to get married on the cosmopolitan island of Mykonos, an island they had visited together as a couple and is very near and dear to their heart. 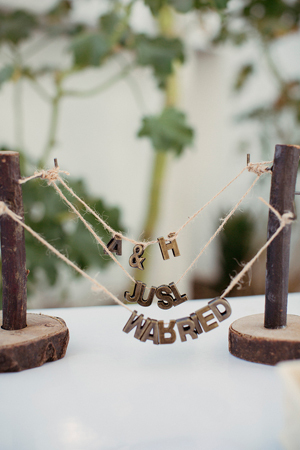 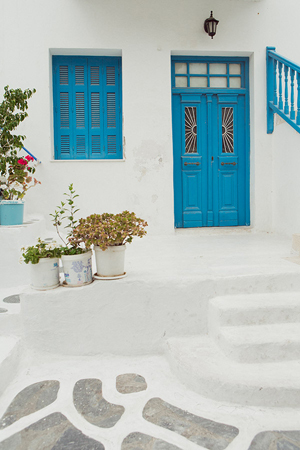 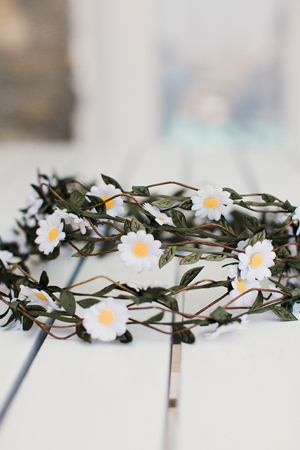 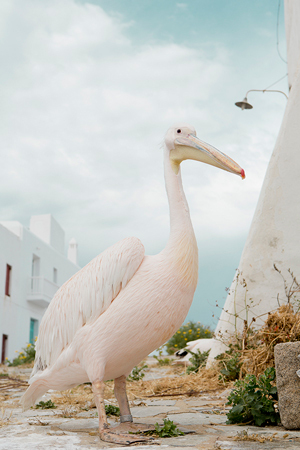 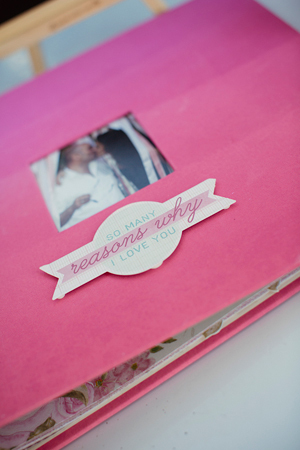 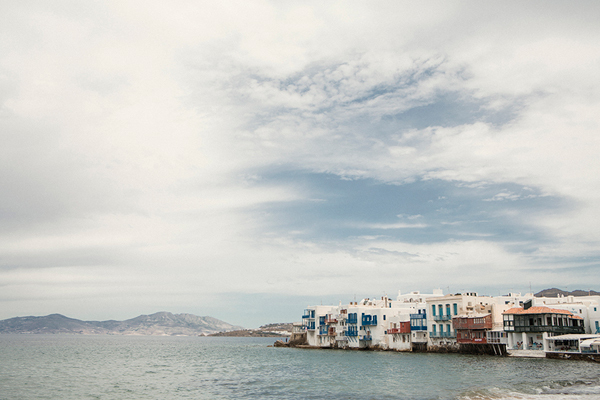 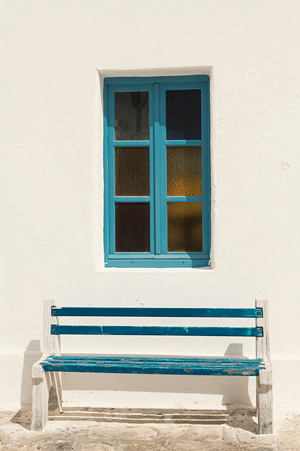 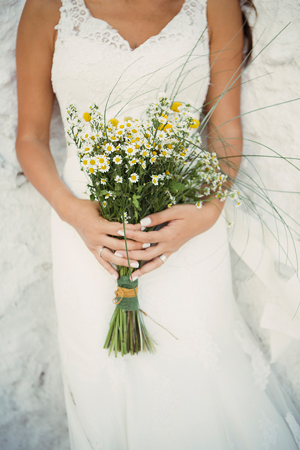 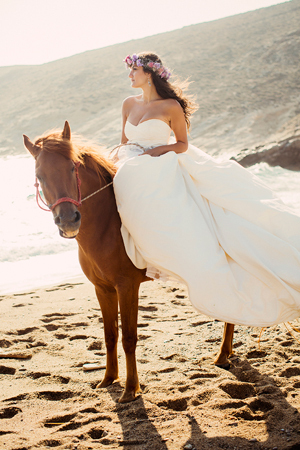 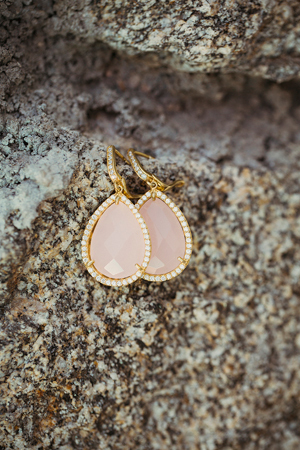 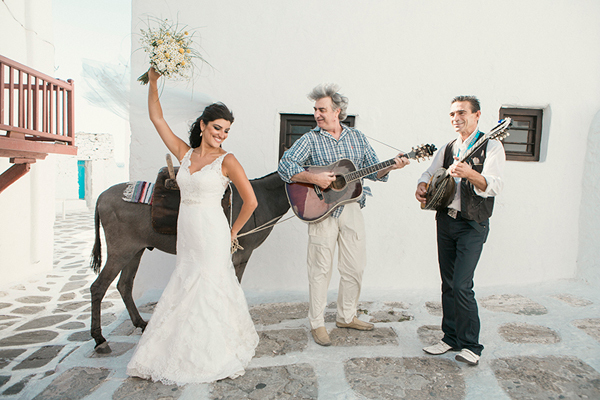 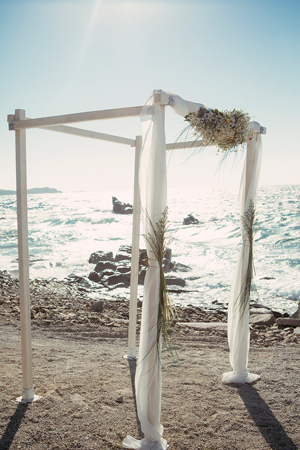 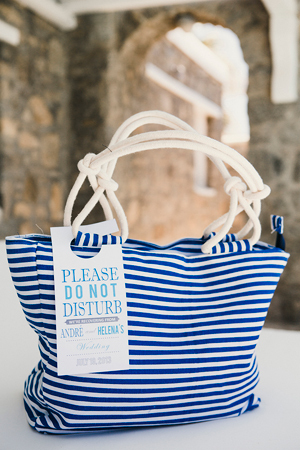 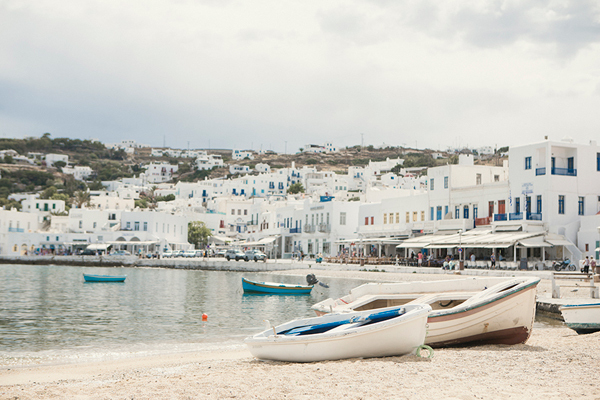 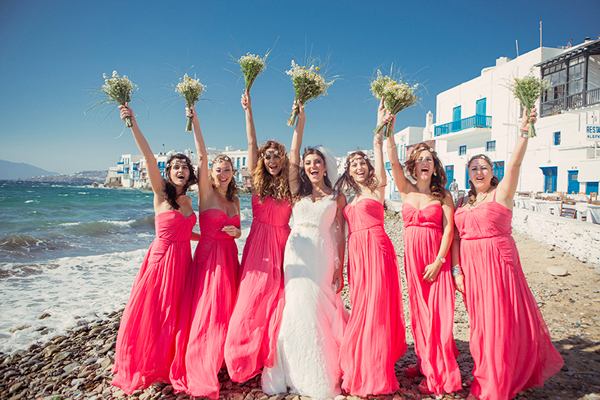 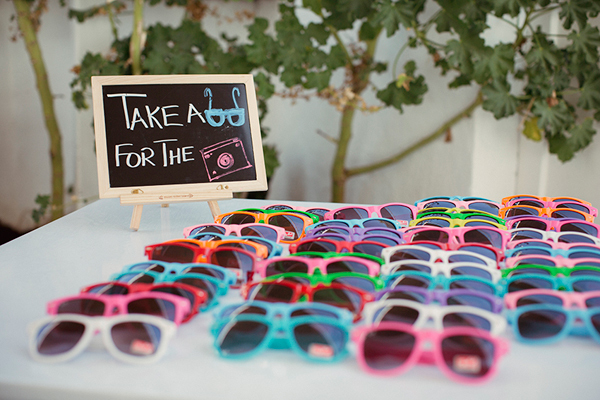 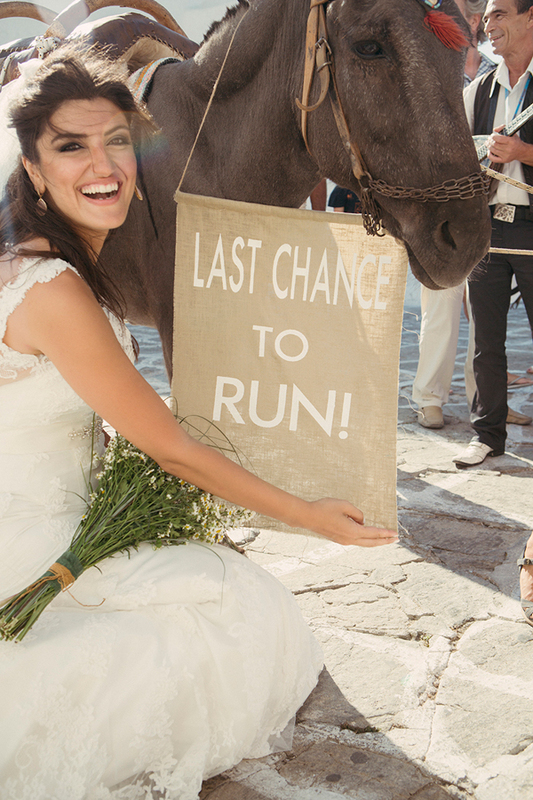 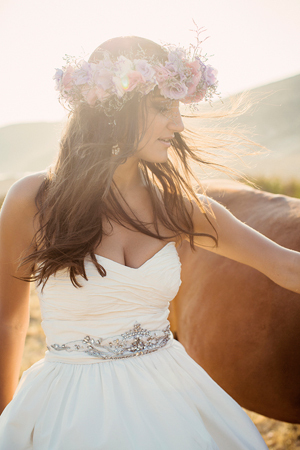 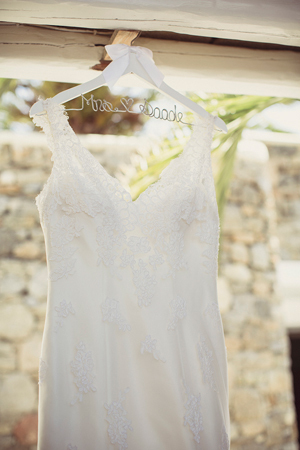 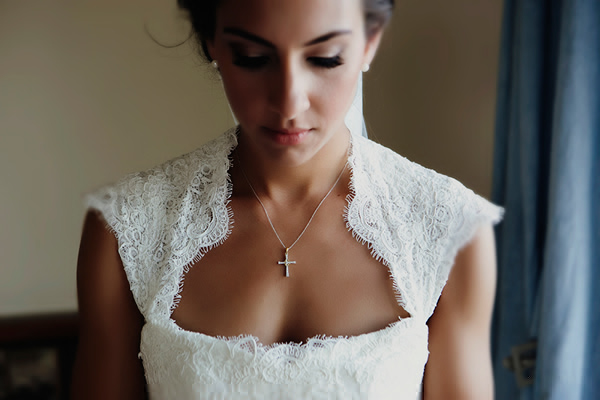 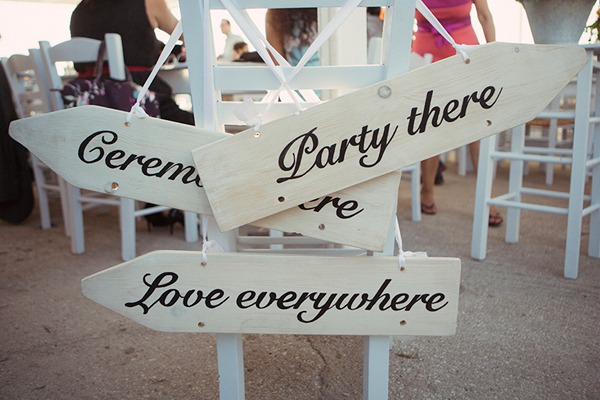 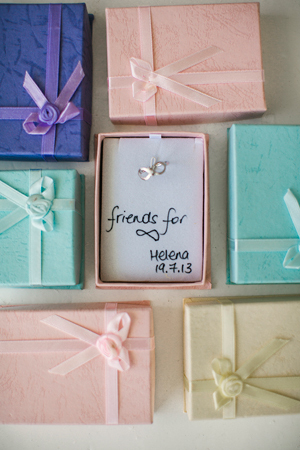 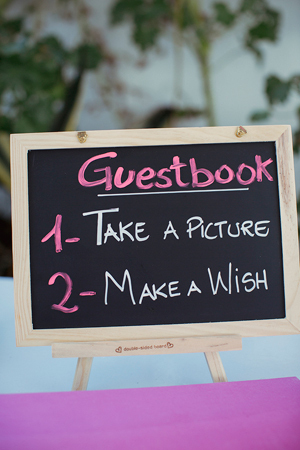 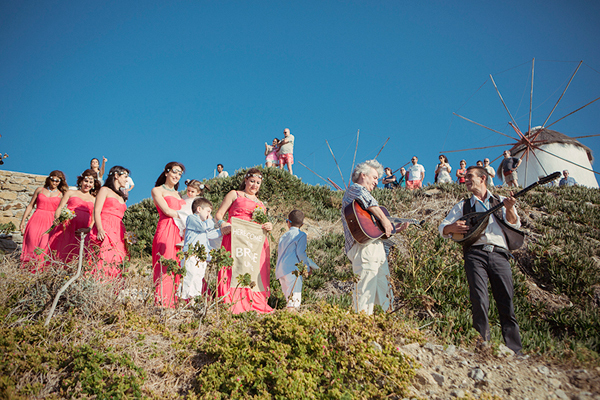 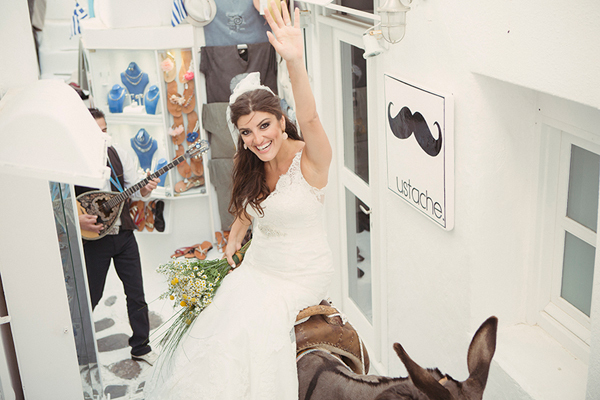 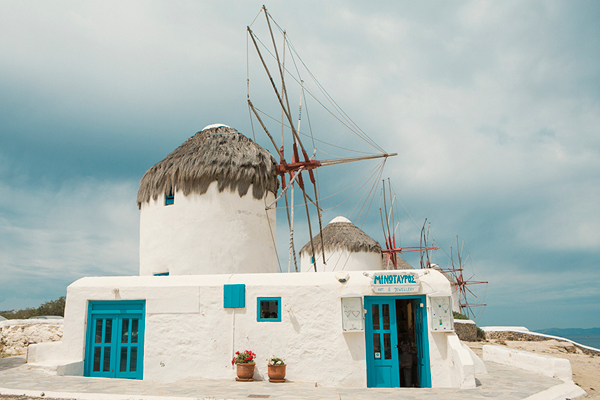 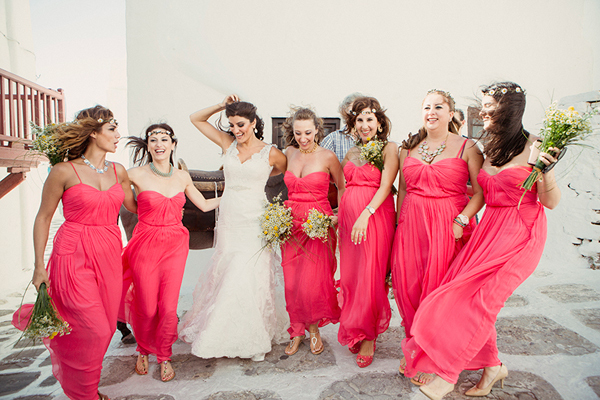 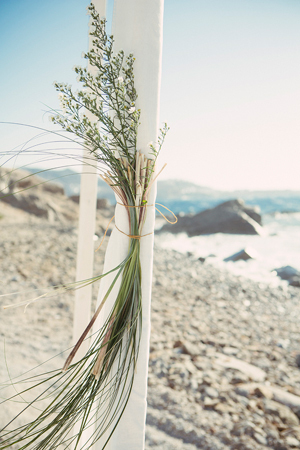 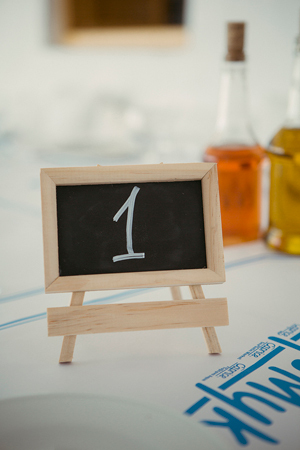 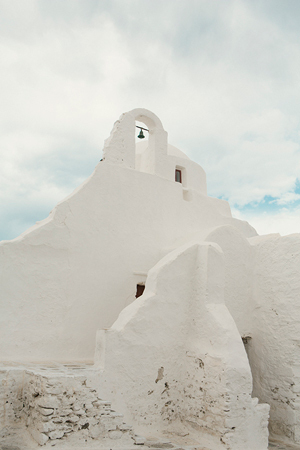 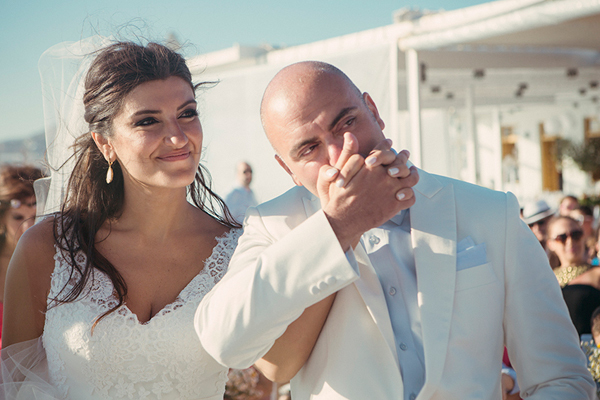 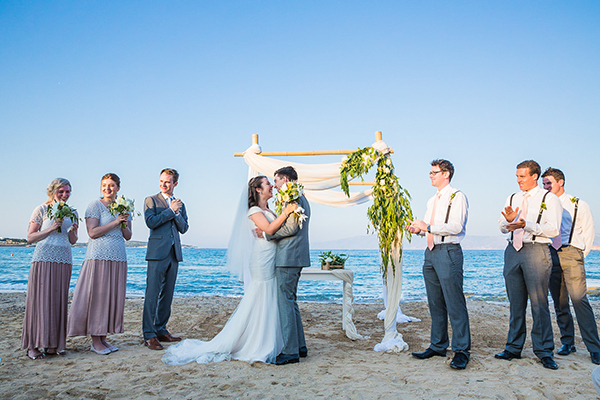 Their wedding in Mykonos was overflowing with stylish and lush details. 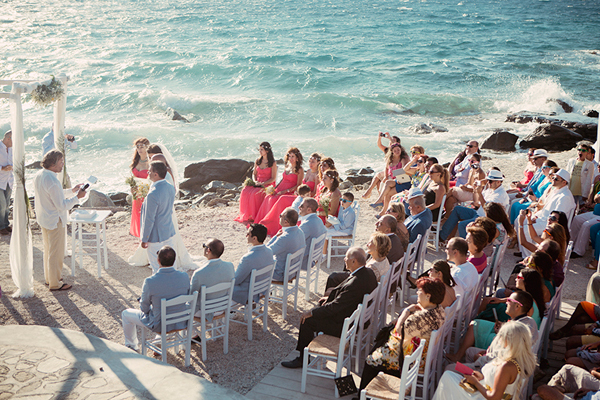 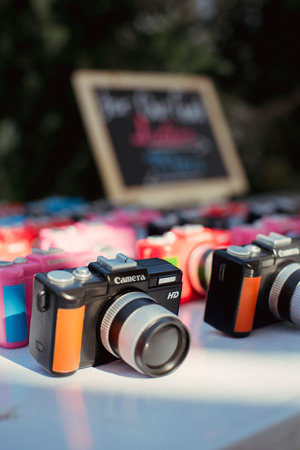 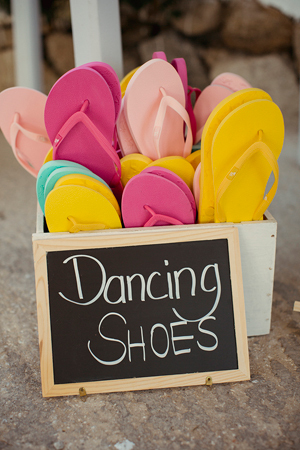 The vivid colors the bride chose for the day were perfect for this pretty outdoor affair next to the sea. 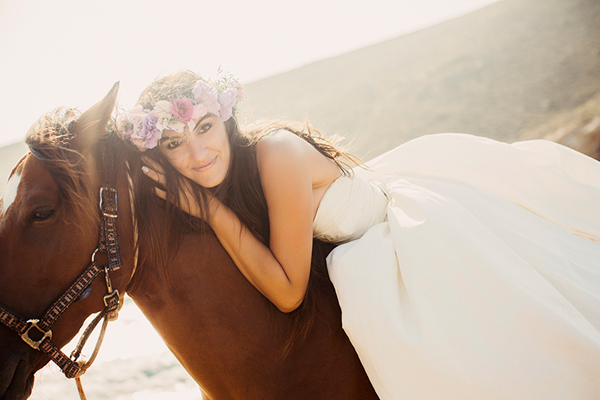 I personally cannot get enough of the amazing images of the next day session on the beach with the horses. 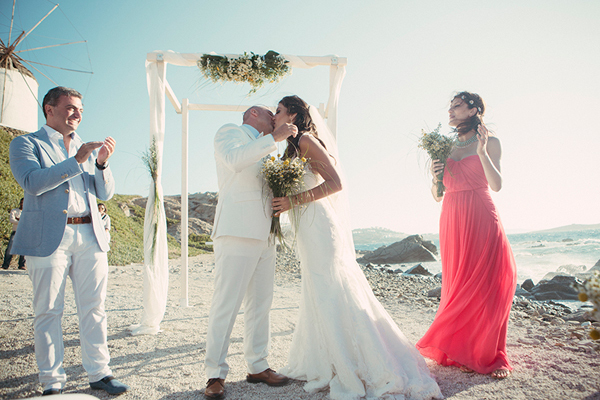 The photo shoot is so romantic and the couple looks incredibly happy and in love enjoying every single moment of their beach wedding in Mykonos.